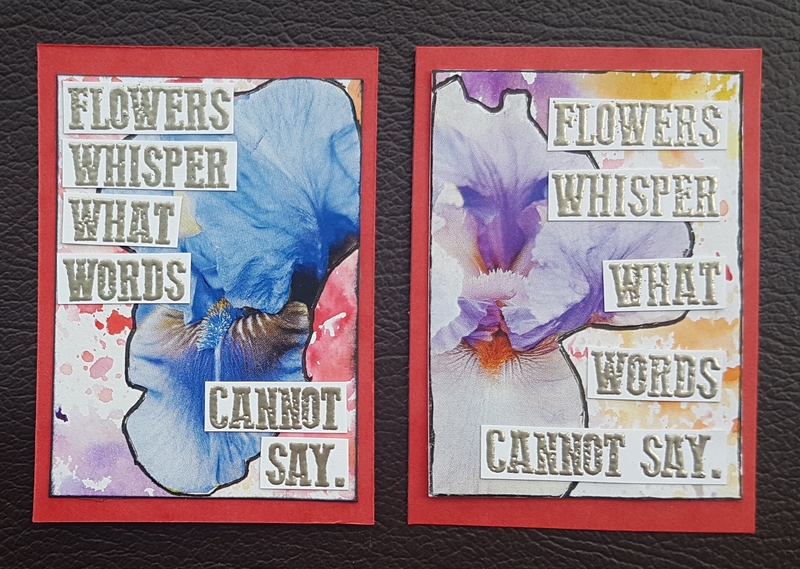 Today I have two ATCs to share where I used mop ups from playing with brushos to create some ATCs featuring magazine collage elements. Both of these have a background of a few brusho colours where I just dipped the paper in and mopped up after another project. This gave them a loose and delicate watercolour appearance. To these I added the flowers I had cut out of a magazine. 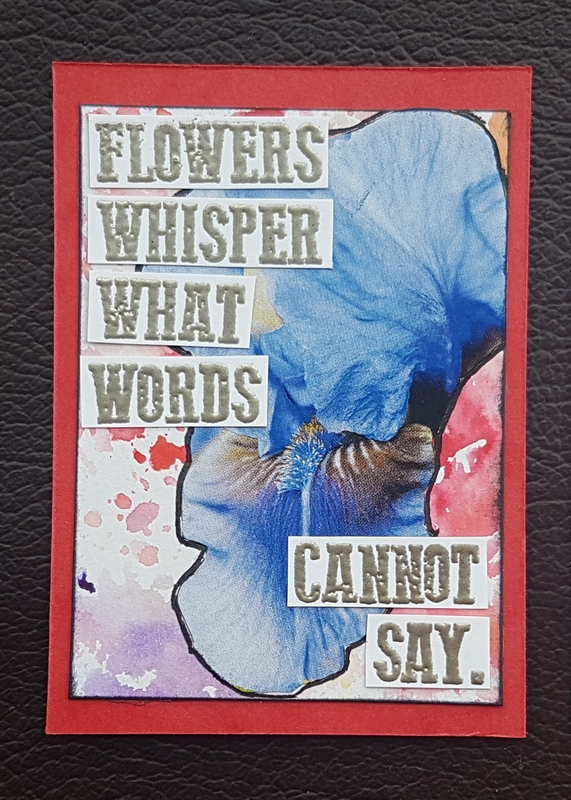 I also added the stamped and embossed sentiment and some outlining of both the image and the edge of the panels, before adding them to red cardstock bases. 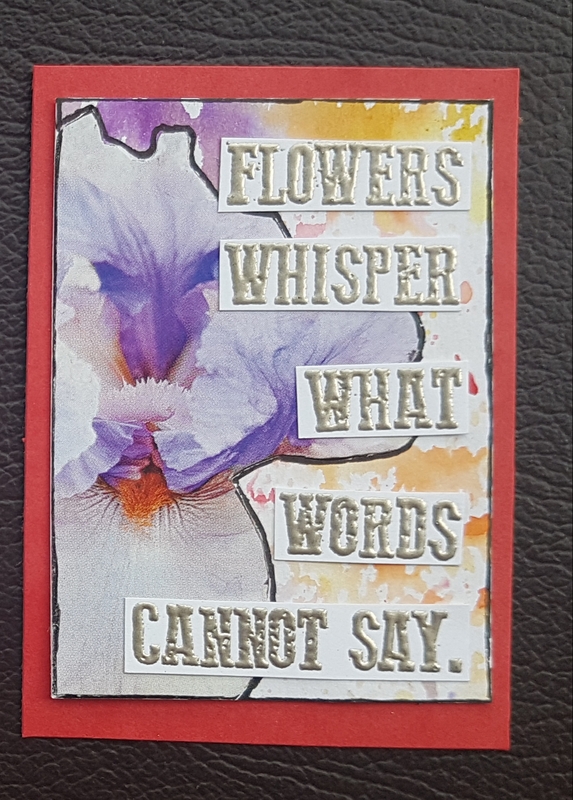 Love how the delicate flowers and background contrast with the bold sentiment and the black outlining. Love this idea! I always think it a shame to throw out those flower magazines that come through the door. …. Thanks for sharing a brill idea.